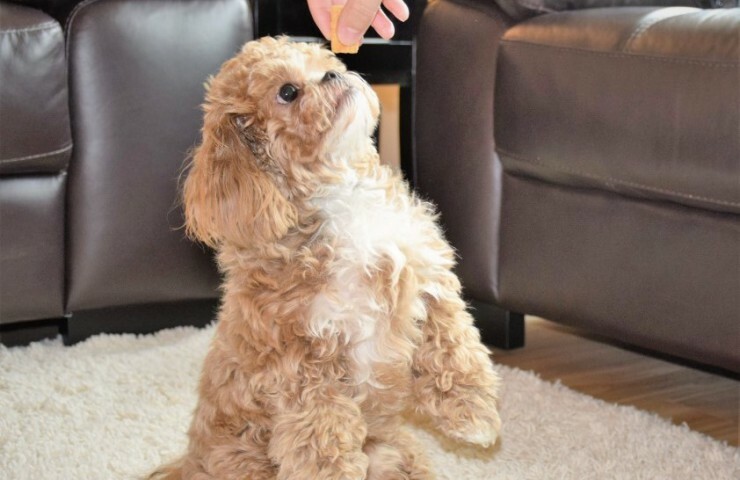 My husband and I spoil our puppy, Toaster, with treats, especially when training her and reinforcing good behavior. We’ve tried a lot of different varieties and as long as the treats are small enough, she typically loves them. We even accidentally bought her cat treats once and she still enjoyed them (sorry about that, Toast). Given the fact that I love making things from scratch, I recently decided to start making my own dog treats. We just transitioned her to a grain-free adult dog food, so I did some searching online for grain-free treats. I came across a recipe that called for sweet potatoes, peanut butter and coconut oil, and decided to give it a try. Toaster might be the only dog I know that doesn’t love peanut butter, but she really likes sweet potatoes, so I thought she still might enjoy these treats. The recipe I found calls for sweet potato puree or pumpkin puree. 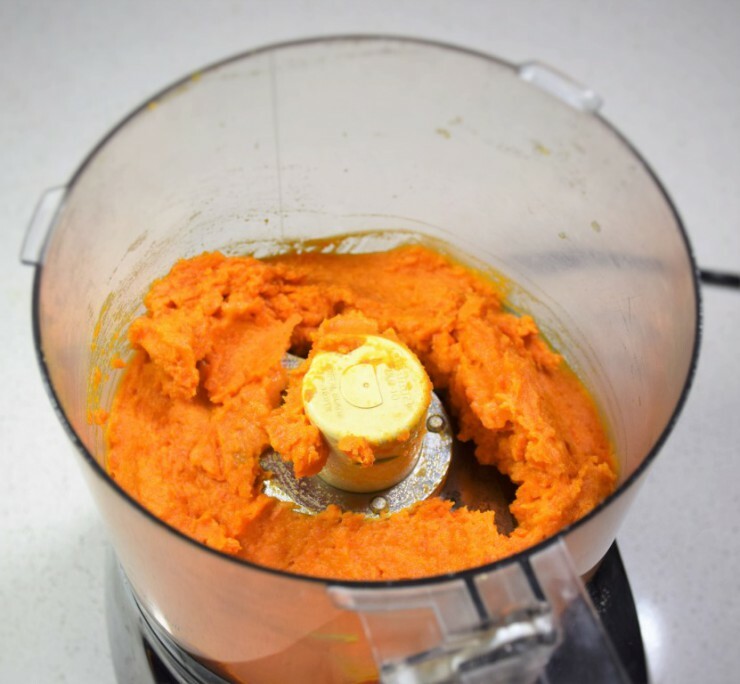 Instead of using puree from a can, I made my own sweet potato puree. Preheat the oven to 400°F. Peel one large sweet potato, then dice it into small wedges. 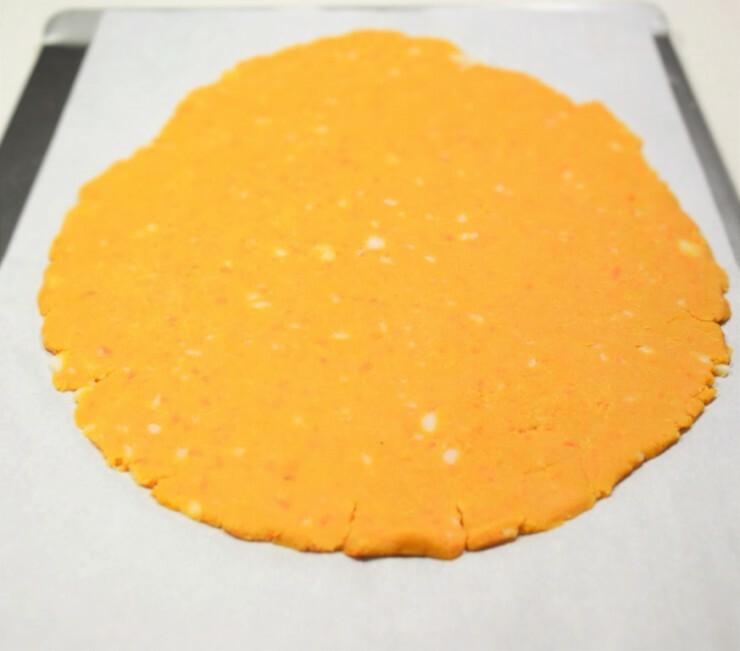 Transfer to a parchment paper lined baking sheet (I recently discovered pre-cut parchment paper sheets and they are amazing). 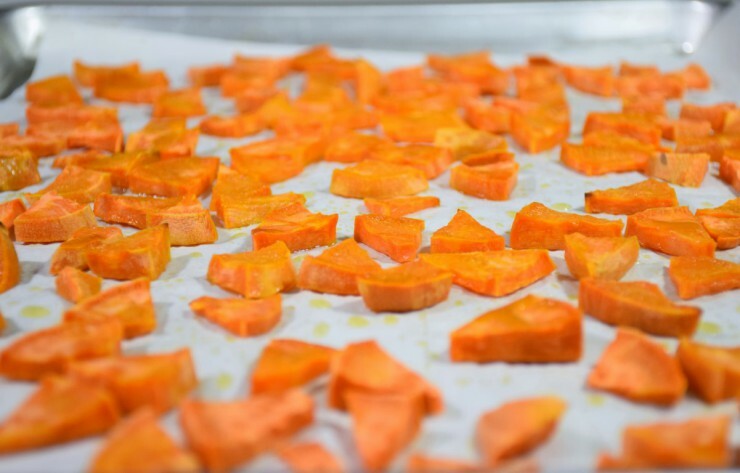 Drizzle the sweet potatoes with a little olive oil and season with salt and pepper. Bake for 20-30 minutes, until soft and fully cooked. 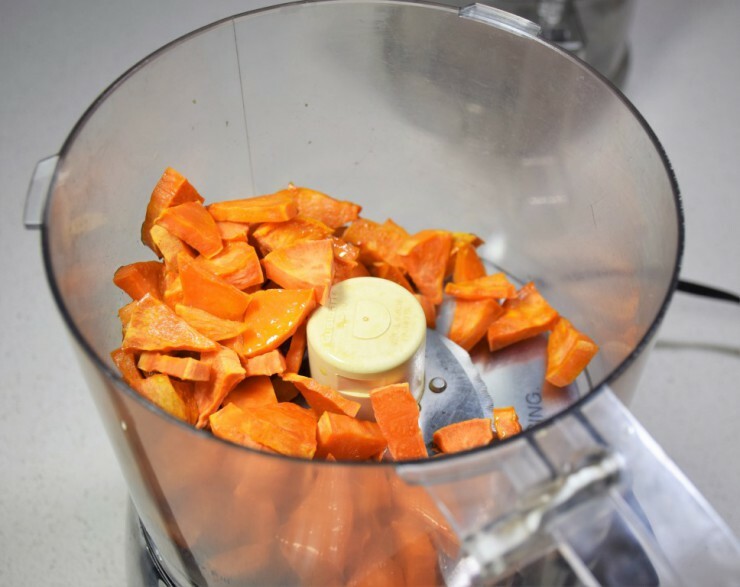 Let the sweet potatoes cool, then transfer them to a food processor and pulse. 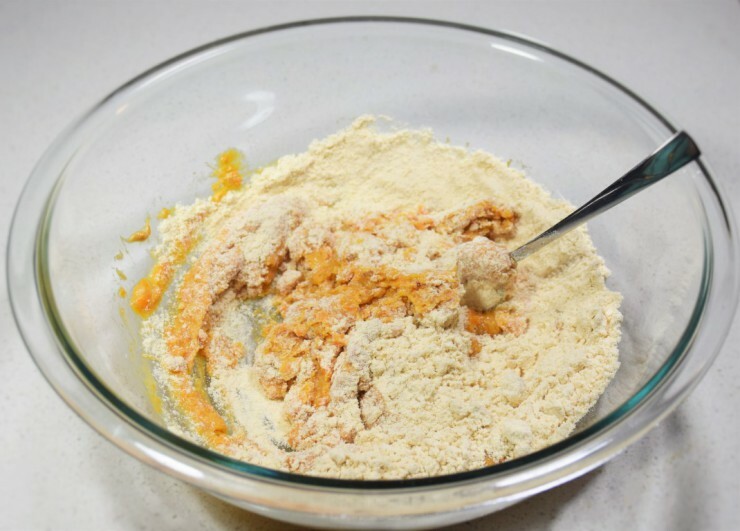 I added a little milk to ease the pureeing process; start by adding a little – maybe 1/4 cup, depending on the size of your sweet potato, then pulse. Add a little more milk if needed. If you want to avoid dairy in these treats, add chicken broth instead of milk. This is the consistency you’re aiming for. Think pumpkin puree from a can to help you gauge. 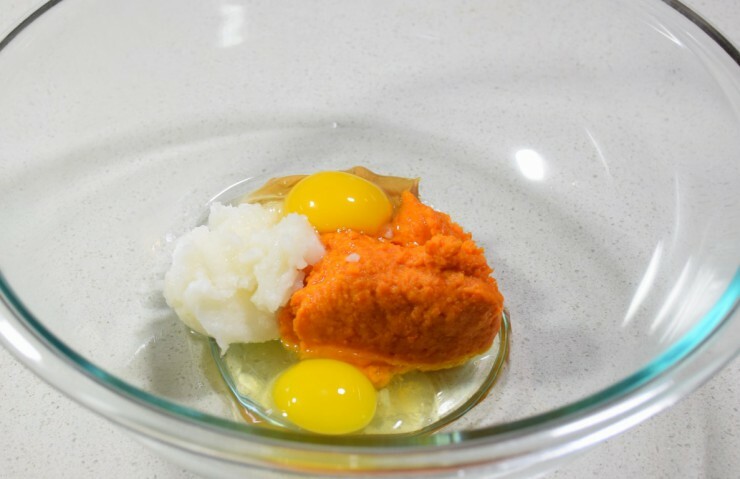 In a large bowl, combine sweet potato puree with eggs and coconut oil. 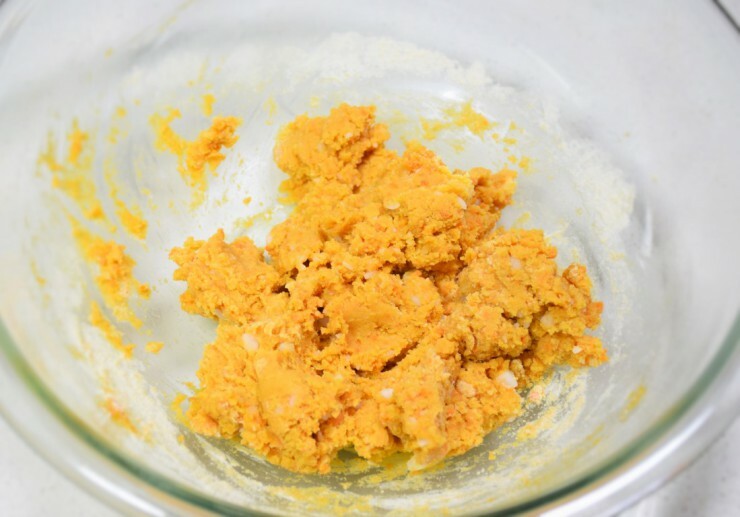 Add in coconut flour and stir until just combined. Line another baking sheet with parchment paper and transfer the mixture to it. I placed another piece of parchment paper on top of the mixture (so the batter was sandwiched between two sheets of parchment paper). Then use a rolling-pin to roll the batter out. Aim for about 1/4″ thickness. I always try to roll dough into a rectangle, but I always end up with an oval. I don’t own any bone shaped cookie cutters and also Toaster eats REALLY small treats, so I decided to bake the treats in this oval form and cut them into tiny pieces once cooked. If you prefer to make fun shaped treats, use your cookie cutters at this stage. The original recipe says to bake for 12 to 15 minutes, but I ended up baking mine close to 20 minutes. Remove from the oven and let cool. If you aren’t using cookie cutters, cut the treats into your preferred size, then test them out with your puppy! If you can’t tell, Toaster really liked them! Have you ever tried making your own dog treats? Share your favorite recipes below!